There is no such thing as privacy online. That is, if you don’t run a good VPN like iVPN. The internet is an open doorway to information, yours included. People don’t want anyone regulating what they do online. And so many take advantage of that freedom, sharing thoughts and feelings and so much information about themselves and anything they know. This makes the internet the best source of data there is. And this data that users like you put out there every day is what companies are taking advantage of. Information is power, and in the digital age, this information is all easily available on the internet. Companies regularly scoop up a ton of internet user data and make money off it. They share it with marketing specialists and other companies who need it to help boost profits. Criminals can go online into the virtual world and can steal ten or a hundred times more than they could in the real world. And internet service providers don’t just give you a connection. They record where you go and this gets fed into a database that can reveal to prospective employers or the police anything shady about where you go and what you do online. Search engines are free so their owners can gain valuable insight into what people look for. Social networking is about gathering users’ personal information to create advertising profiles. The internet is also an awesome surveillance tool for governments. And it’s easier for them because they can just tap into all those companies that gather data. All these companies and services and agencies can get information on every internet user because every internet user has a unique IP address. This is the key to identifying and tracking users, so online privacy begins with keeping this IP address secret. 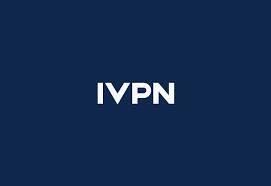 Reliable VPN providers like iVPN can do just that. VPNs hide user IP addresses so no one can connect them to their online activities. VPNs also encrypt data and send user traffic through private tunnels for added protection against data leaks that can point back to the user. This way, user privacy is regained and users are safe from data mining, spying and online crime.